View The WordPress Community on Notist. WordPress.org is an open source project made by its users. Its mission is to democratise publishing through open source software. It’s a global, inclusive project made of hundred of thousands of people that meet online and offline: everyone is welcome to join. 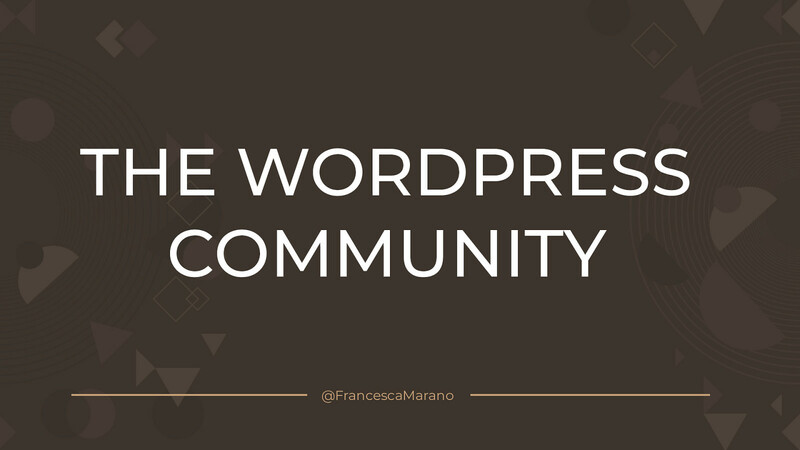 Francesca will introduce you to our Community and how you can get involved!